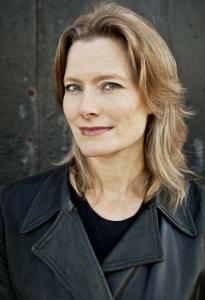 In her new book, “A Visit from the Goon Squad,’’ Jennifer Egan sends her story caroming off traditional expectations about chronology, narrative form, and point of view. Readers of her three previous novels and story collection have already discovered Egan’s unique sensibility and style, which defy easy classification and which some newcomers may find disorienting. Others will come away exhilarated and pleasantly breathless from the unpredictable ride. The book’s 13 sections are told from disparate perspectives, and in that sense it may seem less a novel than a pastiche of linked stories featuring characters that recur, some more prominently than others, in one another’s lives. Yet as in a novel, the reader does feel — especially as the individual narratives accumulate — an overarching omniscient consciousness binding the stories together. Early on, it’s tempting to resist leaving one character for the next, particularly because Egan does such a good job of engaging us in their psychic struggles. The first and primary story belongs to Sasha, who is trying hard to stop stealing personal items from others, including children, despite that the habit excites her and fulfills a need she finds difficult to identify. During and between sessions with her therapist, she resolves to change: “Redemption, transformation — God how she wanted those things. Every day, every minute. Didn’t everyone?’’ Egan makes palpable Sasha’s desperation, her shame, and her desire to change her destructive actions, and she does a masterful job of piquing our sympathy and our curiosity about whether this character will achieve her goal. But it will be a circuitous route that takes us to the answer. Just when we have settled into Sasha’s troubled heart, we move in the next section to the perspective of Bennie Salazar, Sasha’s boss, a former punk rocker and record executive who — like his employee — is plagued by “shame memories,’’ fragments of which he scribbles down to recount to his therapist. To Bennie’s horror, Sasha finds and reads the list aloud: “Kissing Mother Superior, incompetent, hairball, poppy seeds, on the can,’’ but luckily she mistakes them for song titles. This early in the book, we realize not only how well Egan can render angst and poignancy, but how extremely funny she can be on the page. And despite that we might have wished, initially, to remain with Sasha, Egan’s decision to shift the vantage in every section offers the reader the gratification of comprehending things beyond what the characters themselves understand. For example, we learn that Sasha has been “doing that more and more, finding things he’d misplaced — sometimes before Bennie even knew they were missing. It added to the almost trancelike dependence he felt on her.’’ We experience that delicious “aha’’ in realizing what Bennie doesn’t, which is that Sasha has in fact stolen these items before returning them to her boss. Other characters include the man Sasha dates and robs in the opening section; Bennie’s wife, who feels the need to hide from him the fact that she plays tennis regularly with the snobs in their suburb; a down-and-out public-relations maven trying to regain a foothold in her business by rehabilitating the reputation of a genocidal dictator; a movie star named Kitty Jackson and the journalist convicted of assaulting her; and Sasha’s own adolescent daughter. Some of their tales feel more ancillary than central to the storyline, but all contain Egan’s acutely rendered depictions of how people look and feel, what they fear and yearn for, and the ways in which they rationalize their less savory behavior. As thought-provoking and entertaining as Egan’s speculative projections are, “A Visit From the Goon Squad’’ is, in the end, far more than a demonstration of the author’s skill in bending time, form, and genre. It’s a distinctive and often moving portrayal of how — even when their inhabitants don’t realize it — lives can intersect and influence one another in profound and enduring ways. Jessica Treadway’s new story collection, “Please Come Back To Me,’’ recipient of the Flannery O’Connor Award for Short Fiction, will be published in September.